Iceland is an island in the Atlantic Ocean located between Europe and Greenland. The island has many links with Scandinavia, which began with early settlement by Norwegians in the 9th century. Fresh fish - The waters around Iceland are rich with many types of fish, and fresh fish are eaten all year round. These include haddock, halibut, herring, plaice and shrimp. Hákal - Fermented meat from the basking shark. It has a strong pungent smell and is a very much an acquired taste. Hamborgarhryggur - Salted pork ribs. Hangikjöt - Smoked lamb or mutton. It is cut into slices which are eaten on bread, or eaten with bechamel (white) sauce, green peas, and potatoes. Jólagrautur - A traditional dessert eaten at Christmas. It is made from rice pudding with raisins, cinnamon and sugar. Laufabrauo - A tradition bread, originally from northern Iceland, but now common throughout the country. It comes in thin round flat cakes which are fried, and is often eaten during the Christmas period. Skyr - A type of strained fresh cheese that is made from skimmed milk. It is unique to Iceland. No flavors are traditionally added to skyr, but instead it is mixed with other foods, such as porridge for breakfast, or with fruit for dessert. Today, however many commercial manufacturers skyr do flavor their product with berries or vanilla. 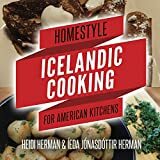 Whether you’re looking to connect with your roots, try something new or already love Icelandic cooking, this book is a must for your cookbook shelf. This is a collection of 25 traditional everyday Icelandic recipes, translated with step-by-step instructions. These are some of the simple classic favorites that truly reflect the home-style Icelandic flavors and heritage. An unprecedented look into the food and culture of Iceland, from Iceland's premier chef and the owner of Reykjavík's Restaurant Dill. Iceland is known for being one of the most beautiful and untouched places on earth, and a burgeoning destination for travelers lured by its striking landscapes and vibrant culture. Iceland is also home to an utterly unique and captivating food scene, characterized by its distinctive indigenous ingredients, traditional farmers and artisanal producers, and wildly creative chefs and restaurants. Perhaps no Icelandic restaurant is as well-loved and critically lauded as chef Gunnar Gíslason’s Restaurant Dill, which opened in Reykjavík’s historic Nordic House in 2009. North is Gíslason’s wonderfully personal debut: equal parts recipe book and culinary odyssey, it offers an unparalleled look into a star chef’s creative process. But more than just a collection of recipes, North is also a celebration of Iceland itself—the inspiring traditions, stories, and people who make the island nation unlike any other place in the world. More than just 165 recipes for classic Icelandic dishes, this cookbook explores the evolution of Icelandic cuisine over the last two centuries. From the late 19th century until the 1970s, thick meat stews, roasts, porridges, milk and fruit soups, and various cakes and pastries were popular. More modern trends include making use of the wonderful fresh fish and shellfish in Icelandic waters, sweet-tasting Icelandic lamb, game birds, and local wild herbs. The author includes favorites that have endured through the years and the best of recent dishes that still reflect Icelandic ingredients and cooking methods. Sample such delicacies as "Iceland Moss Soup," "Grilled Rosemary-Flavored Char," "Braised Wild Goose with Fruit Stuffing," and "Bilberry Ice Cream." Home chefs will welcome the helpful chapters on Festive Food Traditions and Icelandic Ingredients. Includes an index in English and in Icelandic. Traditional Icelandic cuisine, with sections for the ocean, the coast, the countryside, and the mountain. No food stains. Gorgeous illustrations, interesting recipes - like lamb blood pudding, gravlax, trout soup, skyr with berries, reindeer steaks with red wine sauce. Icelanders have eaten all kinds of food in order to survive on the barren island in the middle of the North Atlantic. It's not always been easy. Sometimes families struggled to survive and had to eat what they could find. With fish, whales and seals, the sea made it possible to survive. But of course the settlers brought with them their animals from Norway and that stock has been important for producing meat, milk and dairy products. This is what Icelandic cuisine is based on. This is what this book is all about. 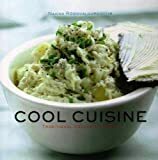 The book contains chapters on fermented shark, islenskt brennivin called Black Death, the fresh cheese skyr, blood and liver sausages, dried fish, stinking skate, lamb meat and smoked lamb meat, controversial food like whale steaks, seal steaks and puffins, singed lamb heads and more. Traditional Icelandic Food is a gastronomic key to national dishes in Iceland. The text describes in simple words which dishes are national dishes in Iceland and why, how the Icelanders are serving them and consuming them and where you can get the food, in the grocery store or a restaurant. Traditional Icelandic home cooking, wtih an emphasis on fish and lamb. Recipes selected and illustrated by Aslaug Benediktsdottir, a Reykjavik homemaker. Hard to find title. One of the best ways to learn about other nations and other cultures is through their food; each book in the A Taste of Culture series explores the foods, cooking traditions, customs, eating habits, and food sources of a different country or region. ; ; One of the best ways to learn about other nations and other cultures is through their food. Each book in the A Taste of Culture series explores the foods, cooking traditions, customs, eating habits, and food sources of a different country -- all presented through a delectable blend of geography, daily life, culture, and history. All volumes discuss ingredients that form the staples of cooking in a given country, the favorite dishes, the snacks and sweets, the traditional holiday meals, and the preparations and traditions associated with these foods. Full-color photographs, easy-to-follow recipes, fascinating facts, maps, a glossary, bibliography, and index enhance each book. A raw food diet is now a widely accepted route to healthy eating. Raw: Recipes for a modern vegetarian lifestyle features 75 healthy and delicious mainly raw recipes, and introduces readers to an ethical and sustainable approach to eating that has found its way into the everyday diets of people around the world. 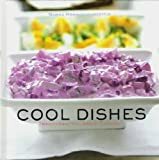 Divided into five chapters - breakfast, snacks, light lunches, main dishes, and sweet treats - the book abounds with bright, fresh recipes such as turmeric tostadas, quinoa pizza, kelp noodles with tofu, and vegan vanilla ice cream.